Many people often run into a dilemma when picking a gift for U.S. military personnel. Thinking of gifts that will have a sentimental impact is difficult, so we have picked some of our favorite items to help you out. The gifts we have picked are a great way of thanking them for their service, and they can also be personalized with their name, along with a special message engraved. Our first item is a symbol that they carry on their hearts, and has been the main source of motivation and dedication for many soldiers, the American flag. 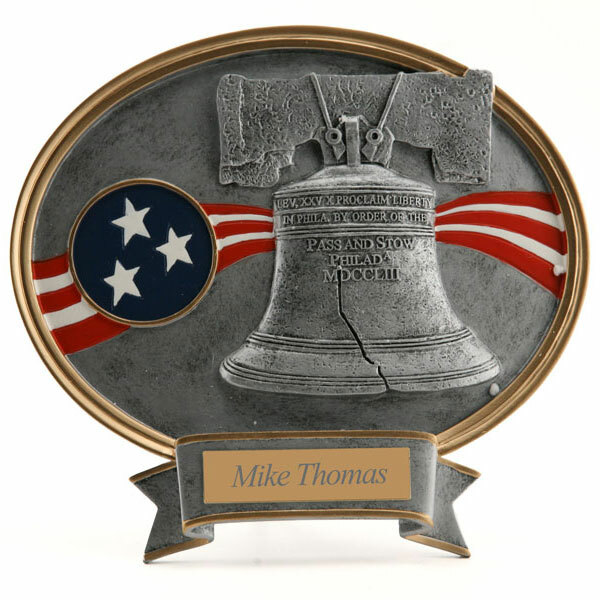 A Liberty Bell Resin with Oval Plaque expresses true patriotism, a symbol that upholds all that is American and its virtues. A great gift to thank someones hard work and dedication to his country and family. It embodies the virtues instilled into this great country since 1776, and uses modern techniques to add color and precision to a very sentimental piece. The American flag shines bright and clear on this great piece, but for a more personalized option, we look at gifts that cater to different military branches. 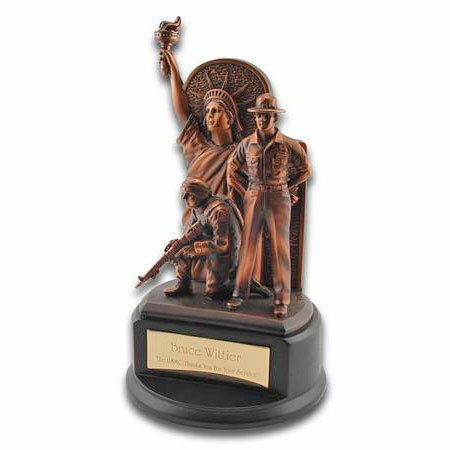 It’s hard to say that this is our favorite item, but it is a top contender, the Statue of Liberty Resin Figure with Bronze Finish capitalizes on all that is American. It’s majestic pose embodies a symbol of freedom that has been the first sight of Americana for many visitors, but also an iconic symbol that represents a strong foundation. A great pillar and gift for anyone in the Navy, Army, Marine or Air force — four great choices to pick from. Just like the strong and sturdy foundation of the Statue of liberty, this gift will endure the wear of time, constructed to last generations. If a bronze finish is not the look you are going for, than the curved vertical glass is a great choice, it has a sophisticated design that will compliment any setting. 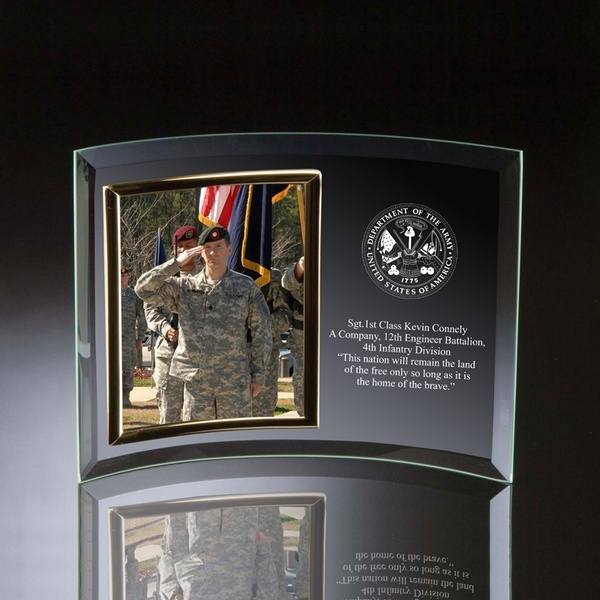 It comes with a gold frame of 5″ x 7″ , so you can place your favorite photo of your hero. If you are looking for a piece that has the military’s branch he/she pertains to, than this is the gift to go with. Available military branches that can be personalized are Army, Marines and Air Force. This is one of the very few pieces that can be customized extensively to really be unique and one of a kind. There is no other gift like this one that goes into detail to express your gratitude for their service. Thank your Hero coming home with a gift that he/she will cherish for years, a great keepsake and memory that lives on through a gift.